Attractive as all get out, when combined with jeans, and hiking boots, I know! You don’t have to tell me how amazing my accessorising is! 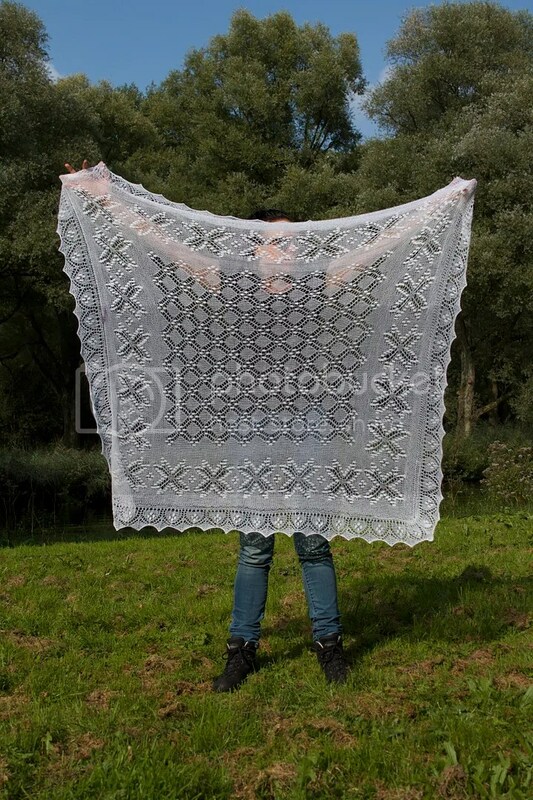 The difficulty comes from wanting to have a picnic in the woods while the weather remains good, and deciding that this is the best time to also get photos of the shawls. When your means of transportation are “bicycle”, you tend to wear what’s comfortable. Of course there are some remarkable Dutch women who have been pedaling their entire lives who manage the combination of bike riding and looking elegant all at once, I am yet to be this person. In other news, I finally got the surprise pieces made for an internet package swap which I was partaking in. 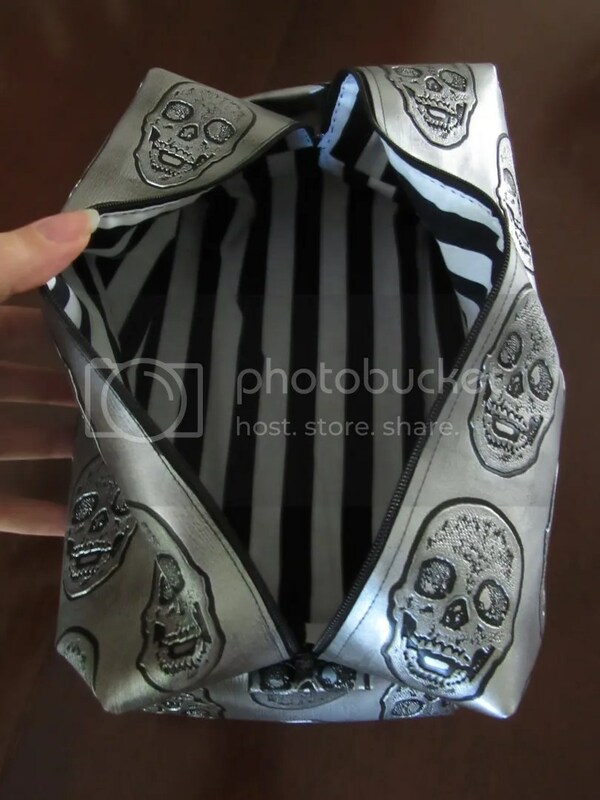 The theme was Tim Burton, so I went with skulls and stripes for the project bag I made. 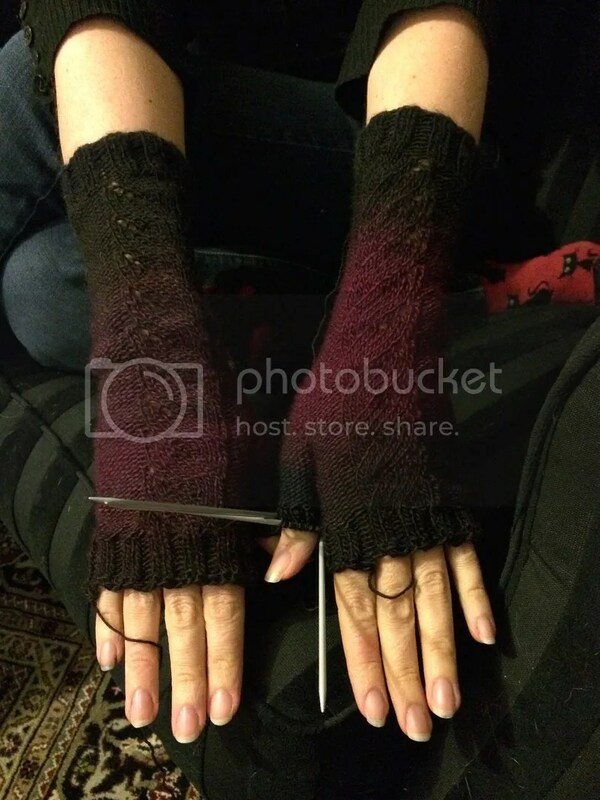 Then for the mitts, I stuck with the stripe theme, but also worked in the favourite colour of the girl I was making them for. Thanks to Pinterest I have become obsessed with Midori Travel Journals. Given what a simple concept they are, when I came across a likely looking piece of leather at the market one week, I picked it up for a song and ended up with my own version which now goes with me everywhere. Once I have some pages worth showing you, I might put together a post for you all. Until then you’ll have to be content with the knowledge that my watercolours are getting a better workout than they have previously! There’s just a couple more things to show you that I’m still in the middle of working on. Neither of which look entirely impressive right now, but Just give me time! 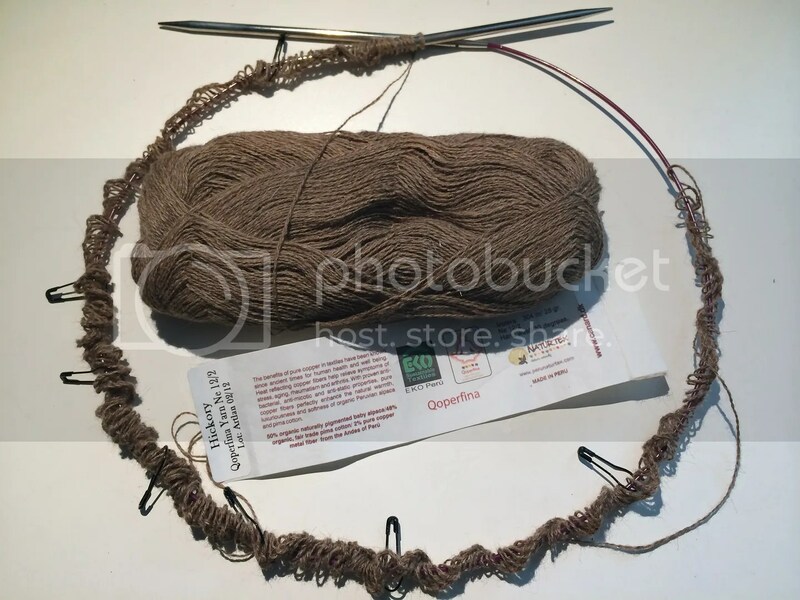 As the label says (which you possibly can’t read), the content of the yarn is baby alpaca, fair trade cotton, and copper! The yarn is a dream to work with! So soft and smooshy! And with all the added health benefits of copper! I can’t wait to show you this piece finished it should be spectacular! The last piece is in anticipation of the coming Winter months! Yes. 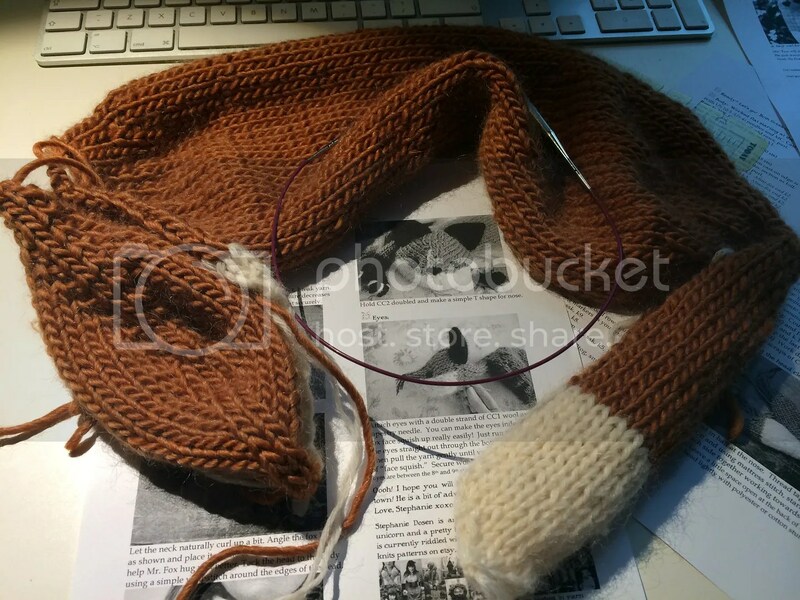 You see that correctly (or maybe you don’t…), I am knitting myself a fox stole! All class, I tells ya! So, what have you been up to? 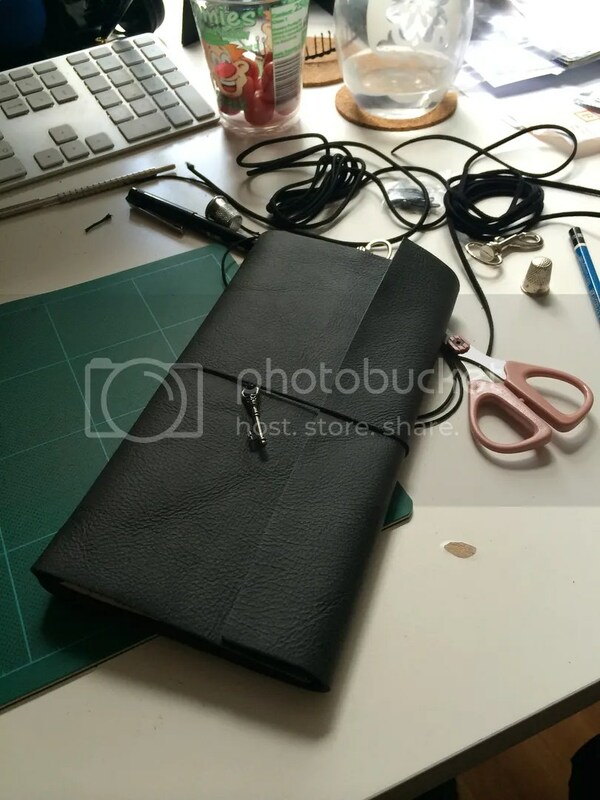 Created anything recently? So many projects, completed and undertaken. I don’t know about the rest of the world (and Internet), but I don’t see a problem with lace-jeans-and-hiking-boots combo. Works for me and it’s wonderful to see how the finished objects look “in action”. 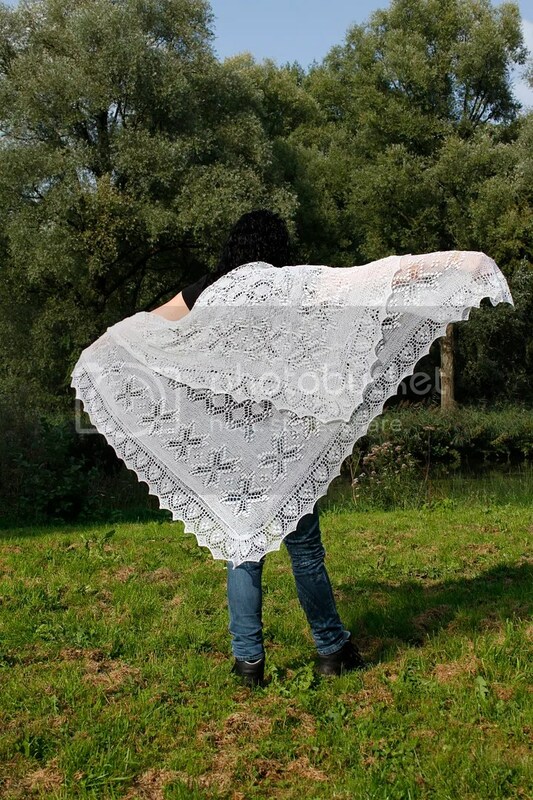 The Estonian lace is incredible (am always amazed by the transformation from “elephant impersonating a raisin” to such a masterpiece, thanks to blocking! ), but I like even more the way the blue and beaded turned out! Congratulations on the results! After much angst around a pair of dropped stitches in a lace shawl, I’m adding an extra pattern rep or two, both because I think I have enough yarn (famous last words…) and because it might hid the error a bit better than if I launched directly into the edging (as I’d planned to do, prior to dropping the stitches). I have no finished objects to share, sadly, and progress is terribly slow. 😦 Not much to show for the time I have spent. 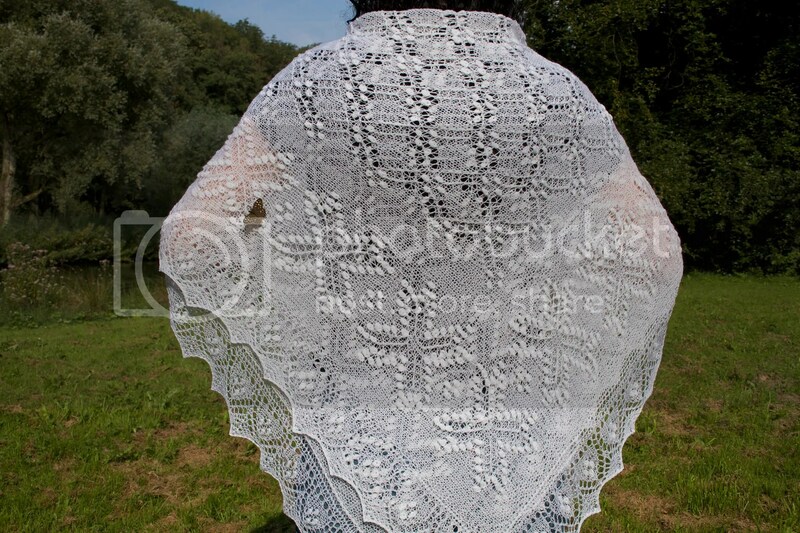 Hope the fox and shawl are continuing apace! Thank you for the update!